Bananas are my favorite fruit. They’re good tasting, good for you, and they come pre-packaged by Mother Nature in a neat disposable and biodegradable handy wrapper! You can do so much with bananas. TIP: Here’s the best way to store bananas so they don’t get bruised. Or, you can freeze bananas to stop the browning process and make them last longer. 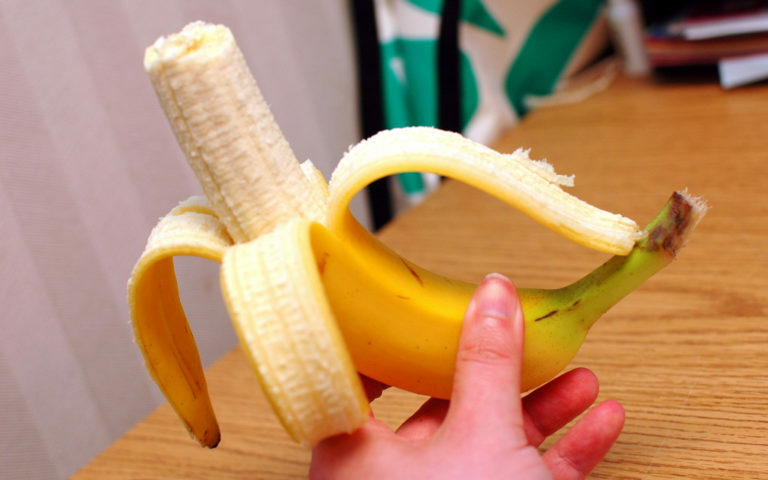 If you’re having a party, a picnic, or a cookout, and you want to serve individual bite-sized bananas, without them turning brown, try this nifty trick to cut bananas and still leave the peel on them! You can mess with someone’s mind by giving them a pre-sliced banana that is still fully enclosed in the banana peel. They won’t even know that it’s been sliced until they peel it open. It’s like magic! And finally, do you know how to peel a banana?